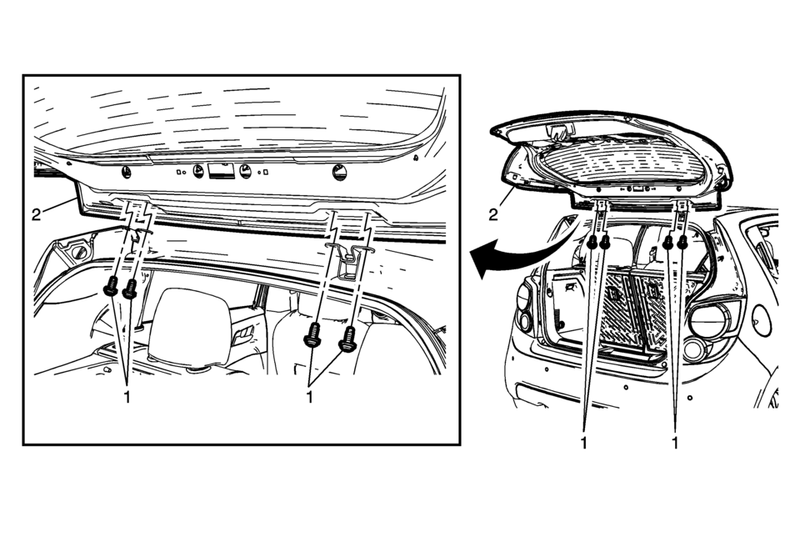 Disconnect the liftgate struts. Refer to Liftgate Strut Replacement. Remove the body lock pillar upper trim. Refer to Body Lock Pillar Upper Trim Panel Replacement. Adjust the liftgate if needed. Refer to Liftgate Adjustment.